High schools around the country are increasingly turning to external, for-profit providers for "online credit recovery." These courses, taken on a computer, offer students who have failed a course a second chance to earn credits they need for graduation, whether after school, in the summer or during the school year. In some districts, it's an important part of efforts to raise graduation rates, as we wrote about in our Graduation Rates project last year. Today, the first large-scale, randomized controlled trial of student performance in these courses is out from the American Institutes of Research, and the news is not great. AIR followed 1,224 freshmen in the Chicago public schools, randomly assigned in the summers of 2011 and 2012 to retake second-semester algebra either face-to-face or on a computer. 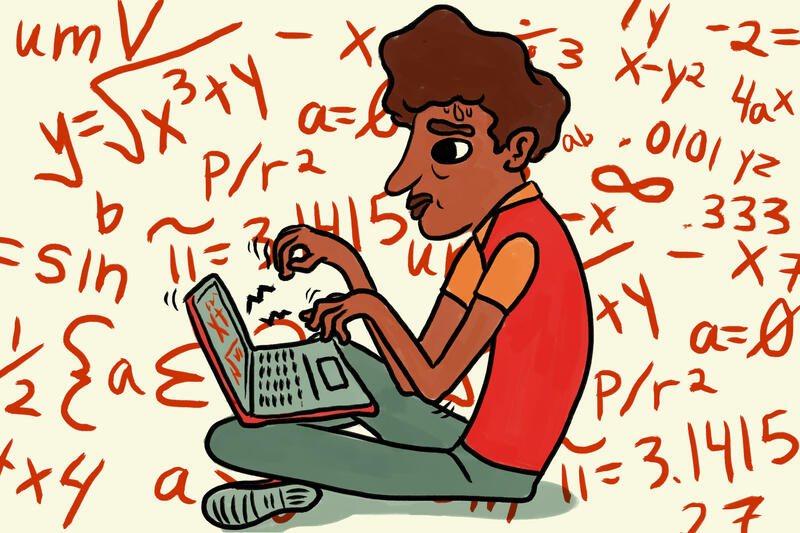 Students working online were 10 percentage points less likely to pass than the students randomly assigned to take the course face-to-face — 66 percent compared with 76 percent. 69 percent of students got D's or F's when studying with the software, versus 47 percent in a regular class. Online students reported that the class was more difficult and that grading expectations were less clear. They liked math less and had lower confidence in math afterward. Online credit recovery is advertised as being cost-effective. But in the AIR study, because the teachers who supervised students were paid at their regular rate, whether they taught or not, offering the software-based courses actually cost schools more than teaching them face-to-face, with no better outcomes to show for it. But, there's a bright spot. The students taking the online courses usually did so in a lab with an in-person "mentor" whose duties included troubleshooting the technology, proctoring exams and managing behavior. When these mentors took the initiative to also provide instructional support — that is, help with the actual math — then the pass rates for those students rose to match that of the face-to-face students. Not surprisingly, these supportive mentors were more likely to actually be certified in mathematics teaching. "We find that result to be very intriguing," says Jessica Heppen, lead author of the report. "It suggests the promise of more blended approaches." In other words, for struggling students to successfully learn math on a computer, they needed access to a real live teacher, too. Douglas Maclin, principal of the Chicago Vocational Career Academy, says they've arrived at that conclusion through their own experience with credit recovery. "Online just by itself was not panning out to give us the success rate that we needed," he says. "It does not negate the need for face-to-face human interaction with somebody who has a command in that subject area." The online provider of the credit recovery course used in the study is now known as Fuel Education, a subsidiary of K12 Inc.
Beth Halloran, a spokeswoman for the company, said in a statement: "Student success in any class — whether in an online, blended, or a traditional setting — is influenced by multiple factors, including student proficiency and engagement, teacher effectiveness, in-class support, course rigor, demographics, student preparedness, comfort with technology, and many others. ... We are very proud of the flexible options we provide our partners to enable them to meet more of their students' needs as they prepare them for college and careers." Speaking of preparing for college and careers, Heppen points out that while the short-term results in this study look bad for online credit recovery, that difference actually disappears over the long term. Unfortunately, just 1 in 6 students in Chicago who fail algebra ends up graduating from high school. Those trends don't change whether they retake the course online or face-to-face. Sarah Karp at WBEZ contributed reporting for this story.